Less than a month after a terrorist attack that killed 89 people during a performance by rock band Eagles Of Death Metal, the group is reportedly preparing to return to the stage. Specifically, the band—including co-founder Josh Homme, who wasn’t with them on the night of November 14, when armed gunmen interrupted the band’s show at Paris’ Bataclan concert venue—is expected to join U2 for the final song of that group’s show in Paris on Sunday night. Said concert is the first of two make-up shows U2 has planned for this weekend, replacing ones scheduled for November 14th and 15th, which were canceled when France was placed into a state of national emergency after the attacks. (The second show, on Monday night, is also being broadcast on HBO, as originally planned.) 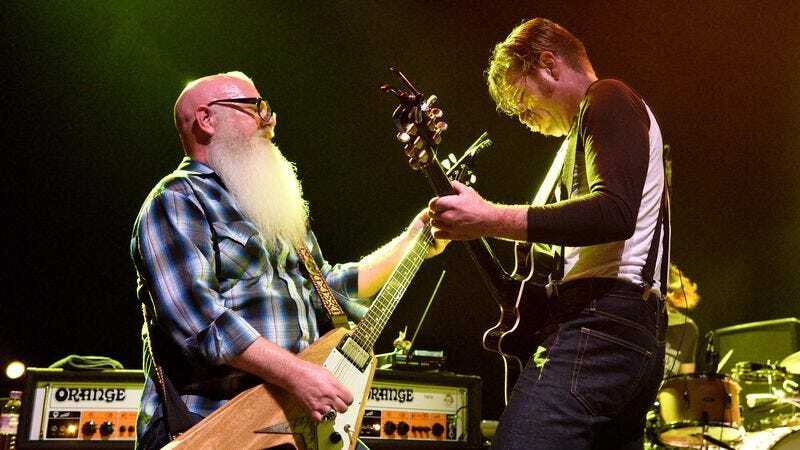 Billboard is reporting that a source has said that EODM will appear at the Sunday night concert, marking the first time the band has appeared on stage since the attack. The source—which hasn’t been confirmed by representatives from the band—also said the group intends to begin touring again in February, picking up their aborted European tour.